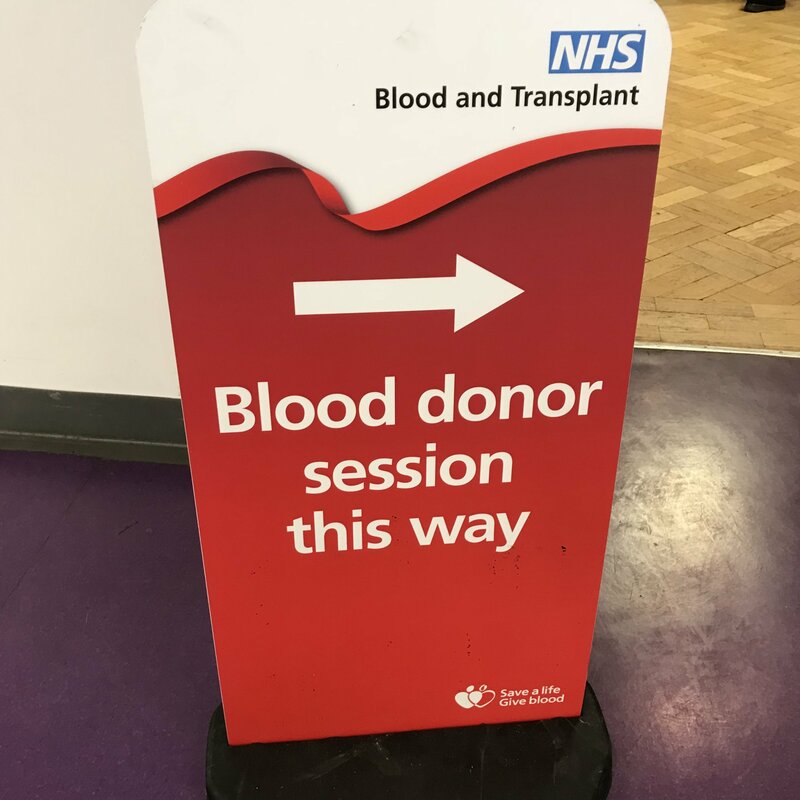 Giving blood is a vital service that helps to maintain a regular supply of all blood groups and types to help hospitals, and patients who need it. Quite simply, it saves lives. Often people are unsure about the process and worry about how to book it, if it will hurt or take too much time out of their day – we are all super busy nowadays! 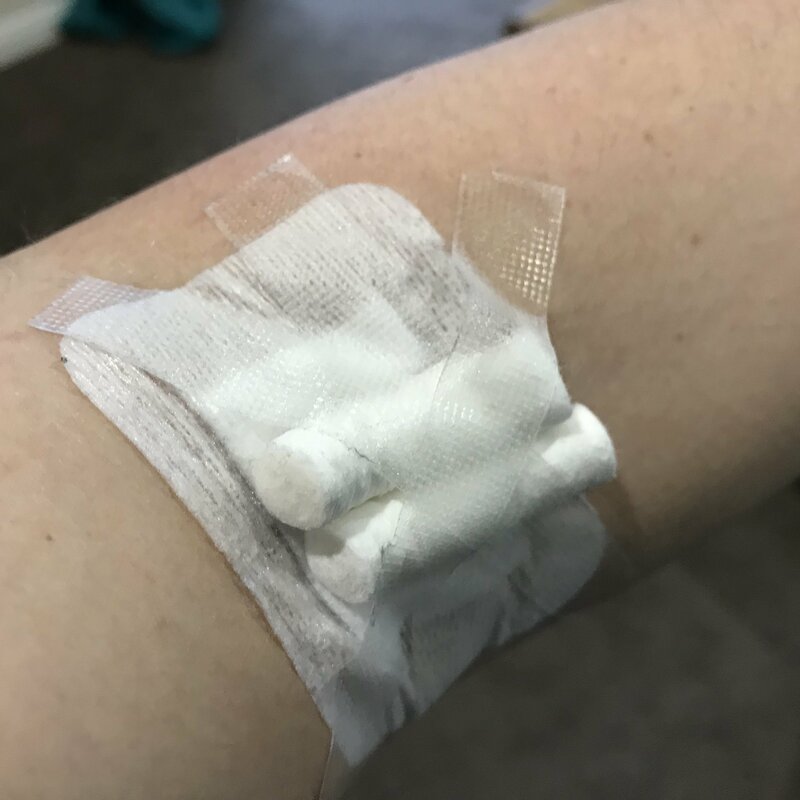 One of our team, Sarah, recently gave blood, so we asked her to answer some key questions based on her experience to give you first hand real-life information, and hopefully peace of mind that it is a great thing to do. If it has been on your to-do list for ages, then its time to put it to the top. If not now, when? It is really simple to book, but you first have to register – Just fill out the details (pretty much email, name and contact info) then the next thing to do is search for a place to donate. Again you can do this online by searching for your town or postcode and then you can select venues, dates and times to suit you. I had to book a couple of months in advance so it is best to check out venues and dates sooner rather than later. Usually in a certain area they will have appointments on the same day each week, and then half hour slots throughout the day. Also, where as before you may have to go to the hospital, now they come to convenient town centre locations to make it more convenient. This becomes your private online account, where you can make and change appointments. New donors must be aged between 17-65 and in pretty good health. There is a health check questionnaire, which is posted to you, that you need to complete and take with you. Some of the questions are pretty personal and if I am honest rather strange, however it is important to answer honestly. There are a number of things that can prevent you from giving blood – such as the start of a cold, visiting certain places overseas or if you have had a recent tattoo – so make sure you check before you book. You can see the details here. The million dollar question, and my answer is no. It really doesn’t! Honest! Before you give blood they check your iron levels and prick your finger to get some blood to test – this did hurt, only for a few minutes but that was the worst part. Giving blood itself was pretty painless, but of course, if you hate needles and an injection totally freaks you out, then this isn’t for you. I didn’t feel anything whilst it was happening, however I did feel a little light headed when they raised my chair – I think it was my own fault, as I hadn’t eaten enough that morning. The nurses gave me an extra 15 mins to rest and then I was completely fine. I also got a leaflet on feeling faint, so it is clearly something they are used to seeing, especially if your first time. There were a fair few other people who felt the same – so if you do, it’s not a problem at all, but it is important to tell them. The day before and on the day of your appointment, you will receive text messages giving you useful information and reminders. When you arrive at your chosen venue, it is clearly signposted where to go. When you go in, you take your health check form and hand to the reception area, they book you in and encourage you to have a drink and take a seat. You wait until they call your name and then you have an initial consult with a nurse where they go through your form, do the iron blood test and then give final approval to give blood. If approved then they get you set up. Then, you are taken to one of the donor chairs and they get you comfortable, clean your arm and set everything up. It is important to listen to their advice and do the chair exercises – like clenching your bum (yes really), squeezing your fist to encourage blood flow, and also crossing and uncrossing your legs. This movement keeps the blood flow even and will help with the recovery after. The nurses are – as I always find – funny, kind, welcoming and highly professional. Following strict procedures is everything, if one aspect is forgotten then the blood is deemed unusable, so everything is handled professionally but quickly and with a smile. 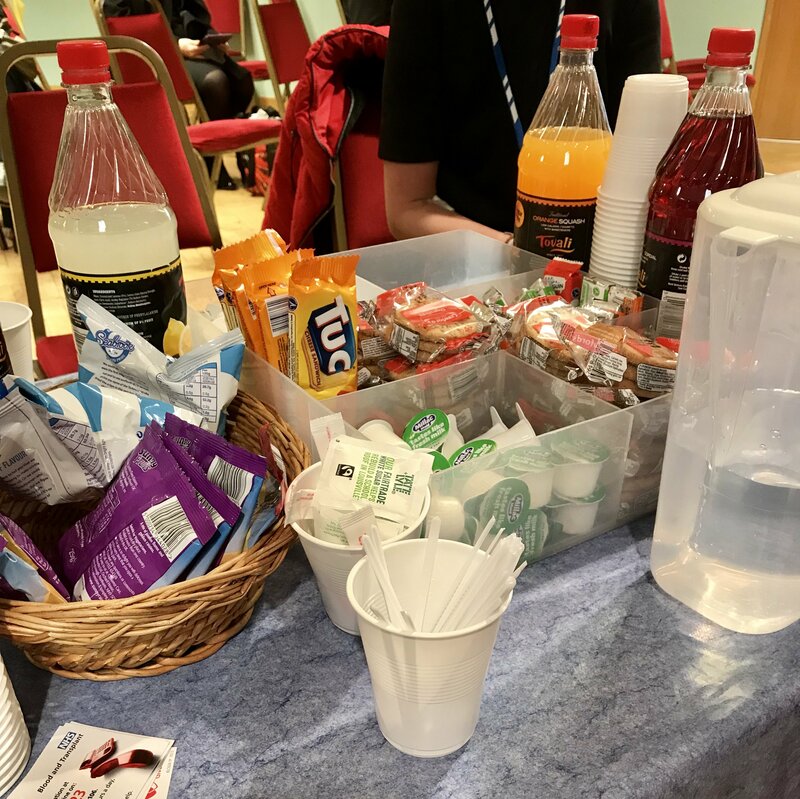 Afterwards, you take a seat for about 15 minutes to make sure that you feel well and recovered, and then you can help yourself to tea, coffee, cold drinks and biscuits. What is the room like? Is it private? No it is one large room, which has a waiting area and then lots of reclining chairs and a small area for private consults, so it is done altogether in the one room. It is quite noisy too with people talking and the bleeping of machines. I booked an appointment for 2.25pm and got there just before. I was done and on my way home by 3.25pm, which matches their policy to get you back out within an hour. When I arrived it was really busy and I was expecting it to go pretty slow, but within 20 mins I had been called. It is a pretty slick process. The actual giving blood aspect takes around 10-20 minutes; this depends on your blood flow and how quickly the bag fills up. 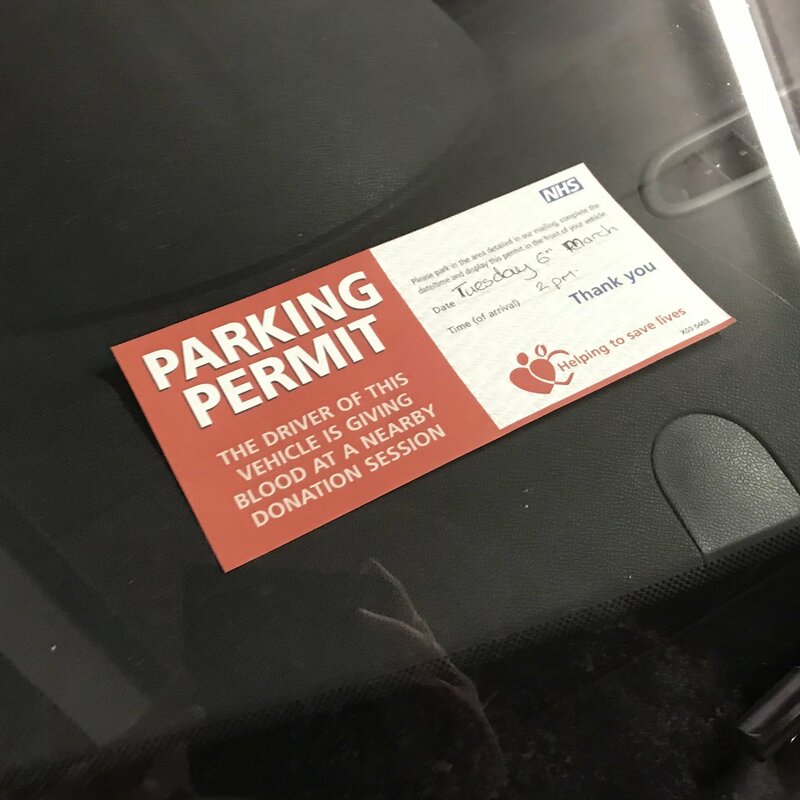 You are sent a car parking voucher to display in your window, which excludes you from paying and this lasts for 2 hours. How do I prepare to give blood? Make sure you eat a good breakfast and lunch and have had something substantial around an hour before your time slot. Also, it’s really important to drink plenty of water. The blood that is taken – just under a pint – is mostly made up of water so it is important to keep yourself extra hydrated from the night before. Try to avoid any strenuous exercise before and after your appointment – it is important to let your body rest and prepare appropriately. Also, remember to wear something comfortable where the sleeves can roll up easily. The last thing you want is to feel uncomfortable. Don’t worry; it is natural to feel slightly nervous, especially if you haven’t given blood before. Try to keep busy on the day of your appointment and just remember that thousands of people do it every day and that you are doing an incredible act of generosity. 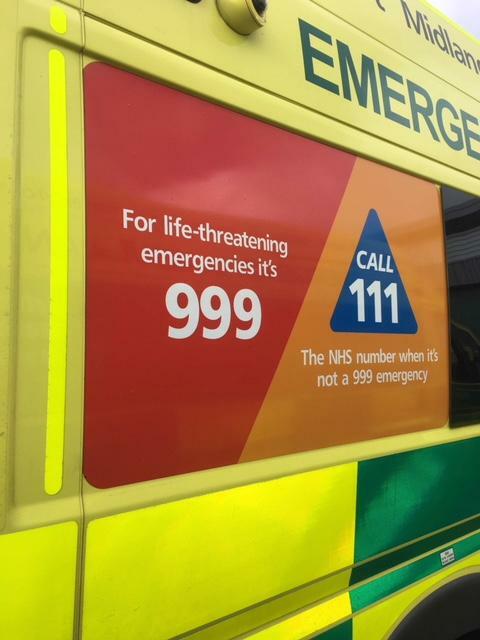 Read up on where you are able to park, and also if you are feeling unwell or unsure if can still attend, make sure you call to let them know. They are used to people cancelling appointments – that’s life – however if they know before then the can offer that slot to someone else. More info on preparing to give blood here. What happens after I give blood? 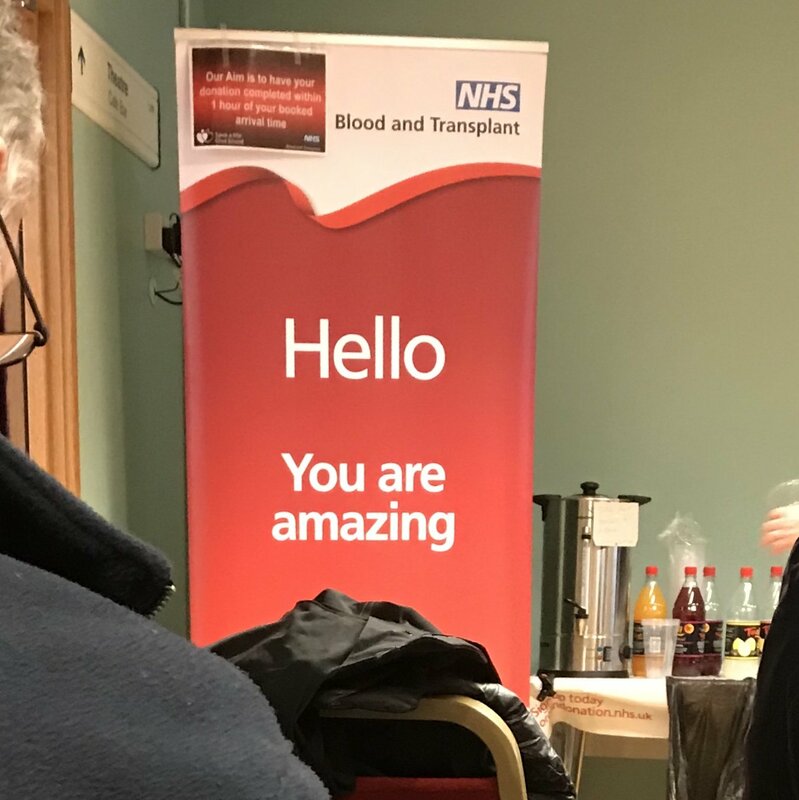 Afterwards you will get some text messages to say thank you and also to keep you up-to-date with what has happened to your blood. They will regularly keep in contact with you to tell you about booking your next appointment and general information. We often wonder about the difference we can make in the world, and this is a simple way to make that difference, and to really help save lives. Not bad for a couple of hours out of your time. Who You Gonna Call? 999, 111, 112 or 101?